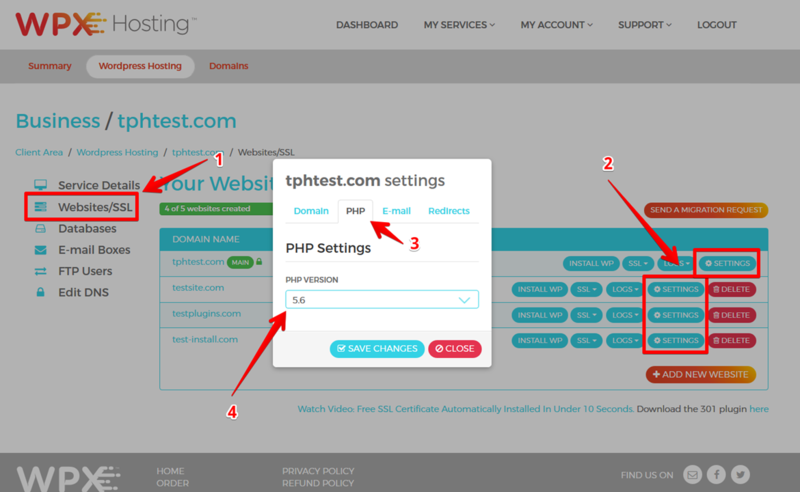 You can change the PHP version of your website in a few simple steps via your Hosting Panel. After following these steps, you will be taken directly to the Service Details section of your Hosting Panel. In the left menu, choose the Websites/SSL (1) tab. This will take you to a menu where you can manage your websites. All you have to do is choose your desired PHP version (4) and click Save Changes. That's it! Check out WPX promo codes and discounts(and how to apply for them here). Learn some tips how to speed up your website. Choosing the best WordPress hosting is easy - just read this article. "My page load times improved by up to 227%."